Abstract: Vertebral artery dissection (VAD) is among the most common identifiable etiologies of stroke in young adults and poses a diagnostic challenge due to nonspecific symptoms and substantial variability of imaging results. Here, we present a case of unspecific neck pain as isolated symptom of VAD with unusually compelling evidence on duplex ultrasound. 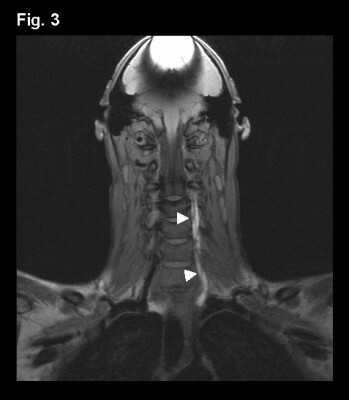 This observation has clinical relevance as the absence of any neurological symptoms in our patient highlights the necessity of considering cervical artery dissection in patients presenting with unspecific symptoms such as neck pain, even if isolated. Furthermore, our image of intramural hematoma on duplex ultrasound has been captured in an unusual, clear and distinct fashion and might therefore be a useful reference image in the clinical assessment of patients with a suspicion of cervical artery dissection.